“Holy crap this race was nutty,” wrote Reno resident and frequent Tahoe adventure racer Elaine V. on her Daily Mile update. Thanks to her Garmin Forerunner stats, I was kept in the loop on her Fourth of July Run to the Beach 10k performance, despite being 15 or so miles away on the West Shore. 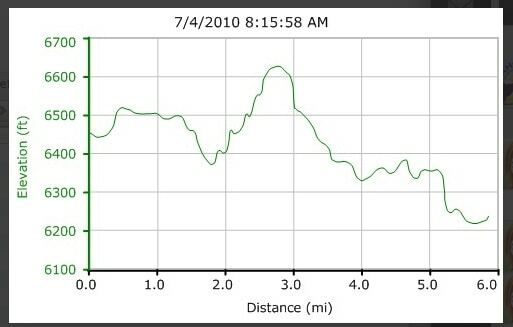 Here’s a look at the 10k race profile she posted on Twitter. 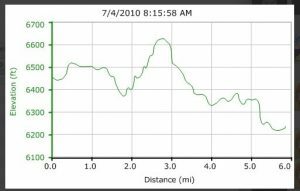 Check out that elevation hike starting just before mile 2, ack! Not only was there runner road kill on the start’s single track, but once battling intense up- and downhill sections, competitors had an uphill, loose sand route to the Kings Beach finish. 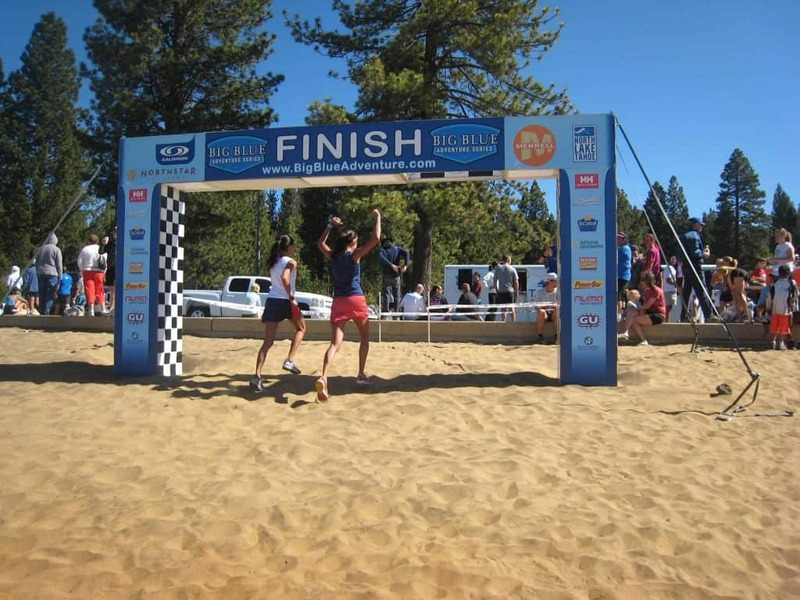 Tahoe Mountain Sports owner-extraordinaire David Polivy was at the finish line snapping some shots. Congrats to all the winners (2010 race results should be posted online soon), and check Big Blue Adventure’s upcoming events to test your mettle. I'm Tahoe Mountain Sports' web editor and a 6-year Tahoe resident. Yep, I live the life, with a lake view from my desk, lunch breaks on the beach with my dog, and morning powder runs when the snow's good. I ski, snowboard, skate ski, and cross-country ski in winter, and hike, mountain bike, backpack, and lay around on Tahoe's beaches in summer.